Today marks exactly 14 years since the transition to democracy in Nigeria. Many Nigerians have mixed feelings about the progress and quality of our democratic process which seems to lumber ahead, mostly staggering, but sometimes with steady steps. Despite the few snags here and there, there is still cause to celebrate. To that effect, I am highlighting some good, some bad and a few ugly things about the process and the dividends. The list is by no means exhaustive. Since the advent of GSM in 2001, the information and communications landscape has been radically revolutionised. Nigerian Railways: Back to Life? The test for poetry is if you can taste it with your bones! It’s not about form anymore. by sunlight and poured into valleys. Given South Africa’s stated commitment to multilingualism, you might not think that a requirement from one of the country’s universities that its students learn an indigenous African language would raise much alarm. Yet alarm has nonetheless been the reaction from a few unexpected quarters to the University of KwaZulu-Natal’s announcement that all first-year students enrolled from next near onwards will be required to develop “some level” of isiZulu proficiency by the time they graduate. What’s A State of Emergency Anyway? On the 15th of May 2013, President Goodluck Jonathan declared a State of Emergency in 3 states in the northern region of Nigeria. Apart from the debate on the propriety or otherwise of the declaration (or “proclamation” as the constitution calls it), a lot of debate has also been had on whether or not a state of emergency can be declared with the Governors of the affected states remaining in office. With all the “sacred” opinions flying about, perhaps it is time to take an academic look at what a State of Emergency is. About 10,000 souls have been grinded in Boko haram (BH) blender since 2001. 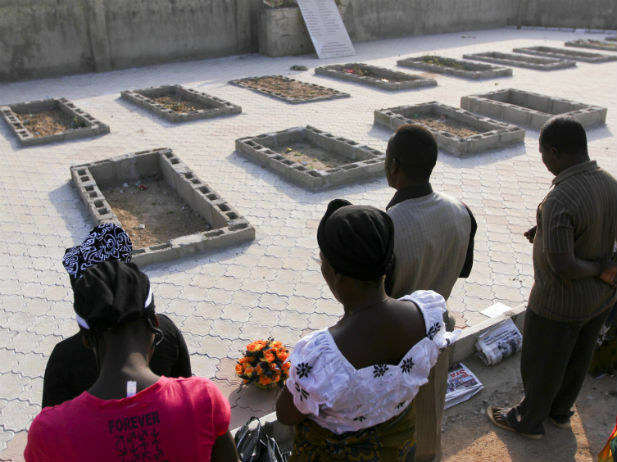 These innocents did not stand in the way of the vampires who have declared a hate war on the Nigerian state. They had each woken that morning with the ambitions filled with hope, to strive to lay food on the table, to seek for a better future but sometime during the day, they had been sent on – with a first class ticket – an early encounter in the void unknown. With time, the detonation of bombs became a daily icing that the living began referring to the dead as numbers. This was the situation before the declaration of state of emergency by the government on the hotspots where Boko haram had almost established sovereignty and wishes to continue their blood bath. In Nigeria, you must capture the essence of your being by the number of titles you been able to acquire over the years. “Former special assistant, formerly choir master, etc” expresses the clout of the bearer. And such is the current ruforufo fight between two former public servants of the Federal Republic. To think that they are throwing arrows at each other just because of an ordinary book, haba! These two super intelligent warriors of a stale empire have taken to the streets and their disciples have since joined their fight. Wahala started with an autobiographical fiction that the twitter king’s pen wrote. In his accidental hagiography, he revealed the backsides of his former peers. And not only that, his book attacked the retired emperor, the former deputy emperor and all those who were in the inner kitchen. The only innocent one was the author. Mallam Nasir El-Rufai is a saint. 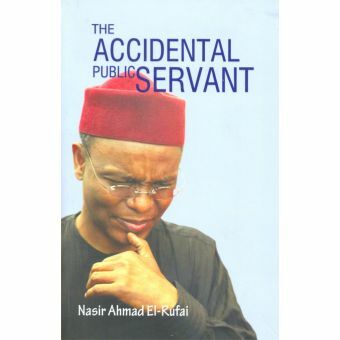 El-Rufai’s intellectual and managerial wisdom is unmatched by any living thing that has ever been in power in Nigeria. Those are the things we discover in his memoir, The Accidental Public Servant. TAPS is not only a celebration of an individual’s narcissism but a revelation of the destructive elitism on whose back this polarised nation suffers. But because TAPS documents the political tragedies we have witnessed since the coming of this present democracy in which the author was a privileged actor, we must repaint our triumphal arch to welcome this confession of an insider. And I sink, I sink and sing to forget.